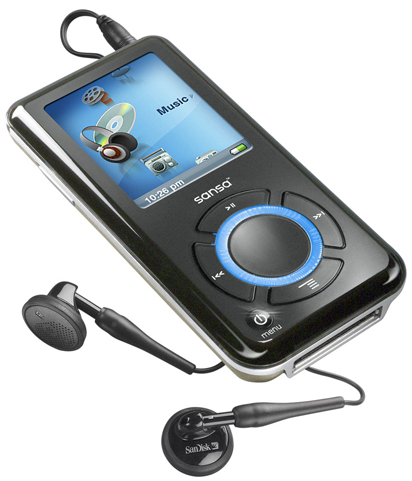 SanDisk Sansa e200 series MP3 players debut. Again the sole aim of the product is to counter the Apple ipod nano. This is the player boasts of 8GB of storage based on the expensive flash memory. The player is expected to cost around USD $249 and for this price I would consider buying Apple ipod with video which offers 30GB of storage for USD $299.